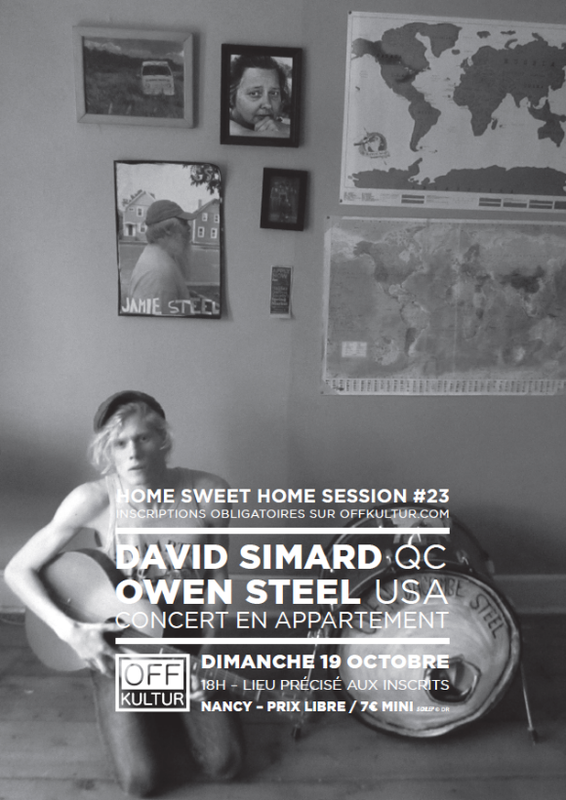 Described as an avant-garde folk-singer, David Simard has a tongue inside the ears of music lovers across Canada and abroad. Relentless touring, performances with Timber Timbre and Half Moon Run, and a wonderful festival response followed the release of his debut full-length, “Slower, Lower” in October of 2011. The opening track, “Memory Box” was recently picked up by French actor/director, Yvan Attal, for use in his newest film “Do Not Disturb”, featuring Charlotte Gainsbourg. “A first-class self-produced album well above the average of what the labels are taking on.” (Voir Magazine). “Slower, Lower collects praise wherever he goes.” (BangBang). Owen’s latest full length release, Time Machine Blues, was quietly released on CD/LP in June of 2013 and included stops at such prestigious events as the Halifax Jazz Festival (NS) all the way up to the Dawson City Music Festival (YT). Featuring a multitude of musician friends known as ‘The Sad Turns’, the songs on TMB are loose, rickety, dark, imaginative, fun, and at times sad as hell.